• Epic Pass™: Epic Pass holders will receive seven days of skiing or snowboarding with no restrictions at both Sun Valley and Snowbasin and 50 percent off one-day window lift ticket prices after their respective days have been redeemed, beginning with the 2019-20 winter season. The Epic Pass offers world-class access including unlimited, unrestricted skiing and riding at Vail, Beaver Creek, Whistler Blackcomb, Breckenridge and limited day access to several resort partners, including Telluride, Fernie, Kicking Horse, and more. For full partner access on the pass, please visit www.epicpass.com. • Epic Local Pass™: Epic Local Pass holders will receive two days of skiing or snowboarding with minimal restrictions at both Sun Valley and Snowbasin and 50 percent off one-day window lift ticket prices after their respective days have been redeemed, beginning with the 2019-20 winter season. Guests receive access to 27 resorts, including unlimited, unrestricted access to Breckenridge, Keystone, Crested Butte and more with limited restrictions at Park City, Heavenly, Northstar, Kirkwood, and Stowe, plus a combined total of 10 days at Vail, Beaver Creek, and Whistler Blackcomb with holiday restrictions and five total consecutive days at Hakuba Valley, Japan. • Epic 7-Day Pass™: Epic 7-Day Pass holders will receive up to seven days of skiing or snowboarding at both Sun Valley and Snowbasin, with no restrictions, as part of their seven total days on the pass, beginning with the 2019-20 winter season. After the seven days, regardless of the resort at which they were redeemed, pass holders will receive 50 percent off the one-day window lift ticket price at both Sun Valley and Snowbasin. The Epic 7-Day Pass features a total of seven days with no blackout dates at Vail, Beaver Creek, Whistler Blackcomb, Breckenridge and more, plus seven additional free days at Afton Alps, Mt. Brighton or Wilmot Mountain. • Epic 4-Day™: Epic 4-Day Pass holders will receive up to four days of skiing or snowboarding at both Sun Valley and Snowbasin, with no restrictions, as part of their four total days on the pass, beginning with the 2019-20 winter season. After the four days, regardless of the resort at which they were redeemed, pass holders will receive 50 percent off the one-day window lift ticket price at both Sun Valley and Snowbasin. The Epic 4-Day Pass features a total of four days with no blackout dates at Vail, Beaver Creek, Whistler Blackcomb, Breckenridge and more, plus four additional free days at Afton Alps, Mt. Brighton or Wilmot Mountain. 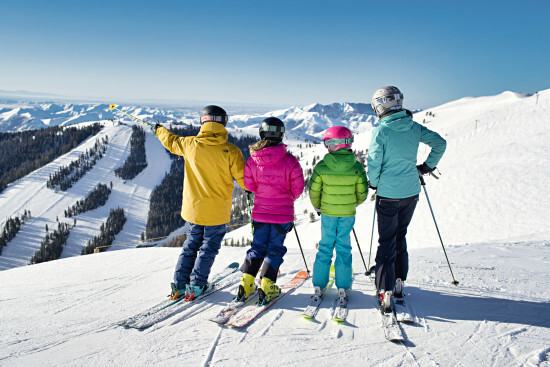 • Sun Valley Challenger, Young Adult Challenger & Snowbasin Premier Season Pass holders: These unrestricted pass holders will receive 50 percent off the one-day window lift ticket price at all Vail Resorts-owned and operated destinations. The Sun Valley and Snowbasin season pass products go on sale in March 2019.